Nepal, a land blessed with the Himalayas, is a popular trekking destination for all adventure-seekers. The country has many unique and exciting trekking trails. Thus, the popular ones such as Everest, Annapurna, Langtang etc receive many trekkers each year which make it crowded. But there are also some off-the-beaten Nepal treks that offer spectacular views and thrilling adventures. These trails are detached from city life and welcome a few visitors each year, which makes them perfect to spend some time near the Himalayas. 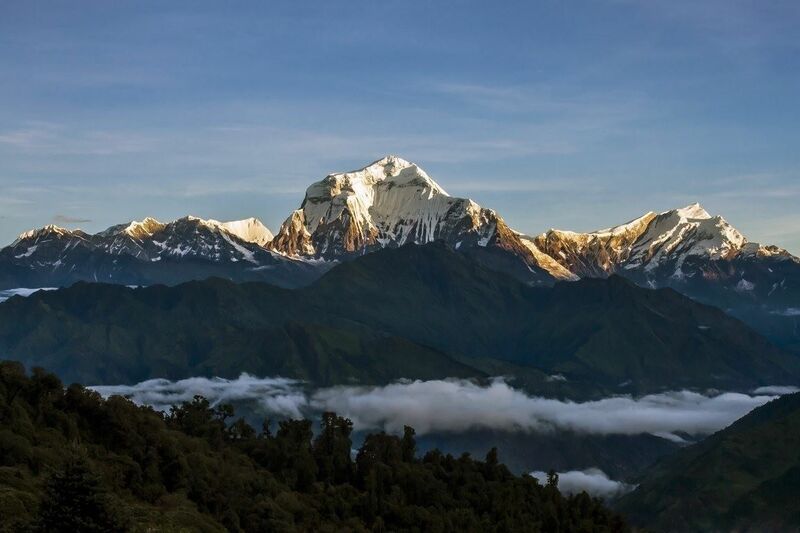 Did you know that Dhaulagiri was once believed to be the highest mountain in the world? But, soon they discovered Kanchenjunga and eventually Mount Everest. Today, Dhaulagiri stands the 7th tallest mountain in the world. The Dhaulagiri Circuit trek takes you to the rugged trails of the Himalayas from where you can see extraordinary views of Dhaulagiri I, II, III, IV, IV and more. On this journey, you will first have to cross the French Pass at 5360 meters from where you will continue down into the Hidden Valley. After this, the trail takes you towards the Dhampus Peak (6060 meters), which you can climb if you have some mountaineering experience. Further on, you will have to cross the Dhampus Pass at 5258 meters, which is one of the most challenging parts of this trek. This trek, though demanding and strenuous is one of the most exhilarating treks in the world. Only a few lucky tourists go for this wondrous trek offers once in a lifetime adventures. You will get to see the majestic view of Dhaulagiri Peak(8167 meters/ 26, 795 ft) and other peaks higher than 7000 meters up close. This trek allows you to experience the beauty of varied landscapes including farmlands, villages, rocky paths, snow-covered trails and more. This trek gives the feel of an actual mountain expedition due to its rugged trails and exotic Himalayan wildlife. In this trek, you also get an option to climb Dhampus Peak at 6060 meters(19.882 ft). Like many treks in Nepal, the best time for Dhaulagiri Trek is Spring and Autumn. Spring is the perfect time for trekking as you will get to see rhododendrons bloom everywhere. Autumn gives the sharpest and most beautiful views of the mountains and the surrounding landscapes. The clear skies and warm days make trekking easy and fun during these times of the year. Both these seasons also offer the best form of the Dhaulagiri region. For Dhaulagiri Circuit Trek, you will need an Annapurna Conservation Area Permit as the trail falls in the Annapurna region. You will have to pay $20 and an additional 13% VAT to get this permit. Also, you will need to get the local area permit which is available at the trailhead. Dhaulagiri does not fall under the restricted regions of Nepal. So, you will not need a Restricted Area Permit for this trek. In comparison to the frequented trekking routes such as Annapurna Base Camp or Everest Base Camp, Manaslu Trek receives few trekkers every year. It was only from 1995 that the region became open to trekkers. But, still, this is a restricted area that sees fewer trekkers every year. Manaslu region has a novel and off-the-beaten trekking trail in Nepal. It is a perfect option for those who want to physically challenge themselves and go on an unbelievable journey in the wilderness. The Manaslu Circuit trek takes you to the untouched land of Manaslu where you will experience both natural and cultural bliss. You will experience a diverse range of climate from tropical to arctic and each of its flora and fauna. The trek is famous for the mesmerizing views of towering Annapurna I (8,091m/26,545ft), Annapurna III (7,555m/24,787 ft), Annapurna South (7,219m/23,693ft), Gangapurna (7,455m/24,457ft), Mt. Manaslu (8,163m/26774ft) and more. In addition, Manaslu Circuit Trek also spellbinds its visitors with a cultural experience like nowhere else in the world. You can get a glimpse of the ancient Tibetan Buddhist practices, its architecture, art and much more during this trek. You will see the best views of Mt. Manaslu, Annapurna I, Annapurna III, Annapurna South, Gangapurna, Ganesh Himal, and many more. You will climb Larke La Pass (5100 meters) from where you will see astounding views of the Himalayas and surrounding landscapes. You will get a glimpse of the simple and peaceful life of the Himalayas. You can visit the ancient chortens, monasteries and enjoy the unique cultural practices of the Manaslu region. The best season to go on a Manaslu Circuit Trek is Autumn (September, October, and November) and Spring (March, April, and May). During these seasons, the temperature is bearable and the days are warm which makes it ideal for trekking. 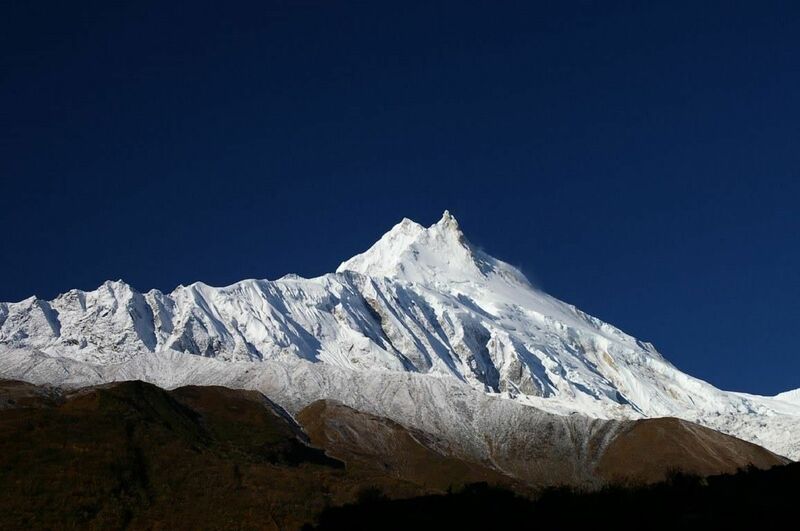 The Manaslu region comes to life during both these seasons. In Spring, rhododendrons and all the rare wildflowers come to full bloom making the entire region stunning. You will get to see rare flora and fauna in their best form during this time. In Autumn, due to low humidity, you can see the clearest and sharpest views of the mountains and surrounding landscapes. Everywhere you look, you will see clear and beautiful views of the towering peaks. Located East of Nepal, Kanchenjunga region is one of the remote and lesser-known trekking trails of Nepal. Kanchenjunga region offers the best of wilderness and exhilarating trails. The pristine nature, astounding views of the Himalayas and exotic trails make it one of the best trekking trails Himalayas has to offer. In this trek, you will be able to see the alluring views of Mt. Kanchenjunga, Mt. Makalu, Jahnu Himal and many more. The surrounding landscapes, wild forests, wilderness, rare flora and fauna all make Kanchenjunga Circuit Trek even more exciting and stunning. Other than the natural beauty, Kanchenjunga Circuit Trek also offers you a glimpse of the simple and remote lifestyle of the mountain region. You can become a part of the traditional culture and traditions on this trek. The trail actually opened for trekking only after 1988. So, it still remains remote and less-explored by many trekkers. Though these days, Kanchenjunga is gaining popularity among the Western trekkers as it is the starting point of The Great Himalayan Trail. You will get to see the world’s third tallest peak-Mount Kanchenjunga (8586 meters) at its best. You will get a chance to encounter rare wild animals such as snow leopard, musk deer, red panda and much more. You will get to enjoy the warm and traditional hospitality of the locals of the Kanchenjunga region. 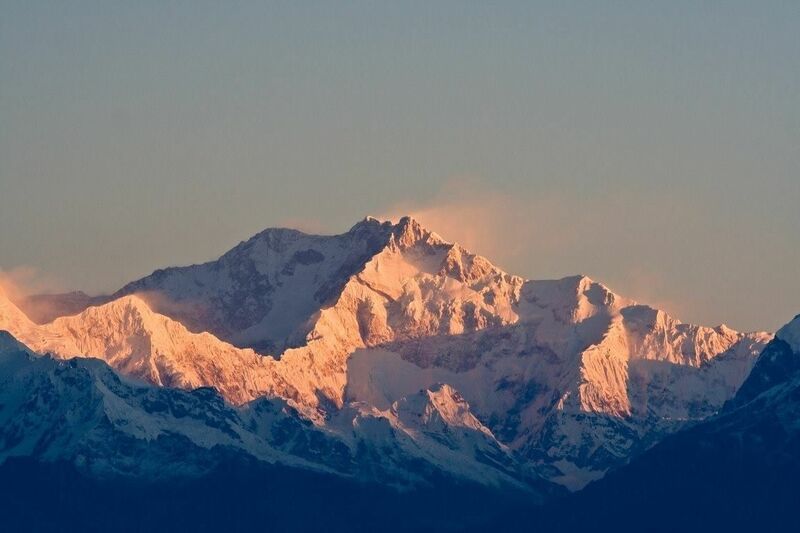 The best time to go on a Kanchenjunga Circuit Trek is from March to May (Spring) and September to November (Autumn). During this time, the weather becomes favorable for walking. The days are long, warm and the temperature is bearable during the daytime. Even in the higher altitudes, during these seasons, the weather becomes stable. So, it makes both these seasons peak for trekking in Nepal. Spring is the time in Nepal when everything comes to life. After the harsh winter, the flowers start to bloom, new sprouts come out and the leaves go completely green. This makes the hills, surrounding landscapes of the Kanchenjunga region beautiful. If you trek in Spring, you will get to see the best form of flora and fauna in the region. Autumn gives you the chance to see the clear views of the rain-washed forests, landscapes, and mountains. Due to the low chances of rainfall, you can see the sharpest views of the Himalayas. You will see the best views of Mt. Everest (8,848m), Mt. Lhotse (8,516m), Mt. Makalu (8,201m) and so much more from the Kanchenjunga region. You will need the Kanchenjunga Conservation Area Project Entry Permit (KCAP) and Restricted Area Permit for the Kanchenjunga Circuit Trek. For the Restricted Area Permit, you will need the help of an authorized trekking agency or a registered guide/porter-guide. You need to pay $20 for KCAP and $10 per week for the Restricted Area Permit. If you want to trek across off-the-beaten paths, these Nepal treks are a great choice to enjoy the pristine nature in the laps of the Himalayas in peace and quiet. Do you know any other? Let us know in the comments below! 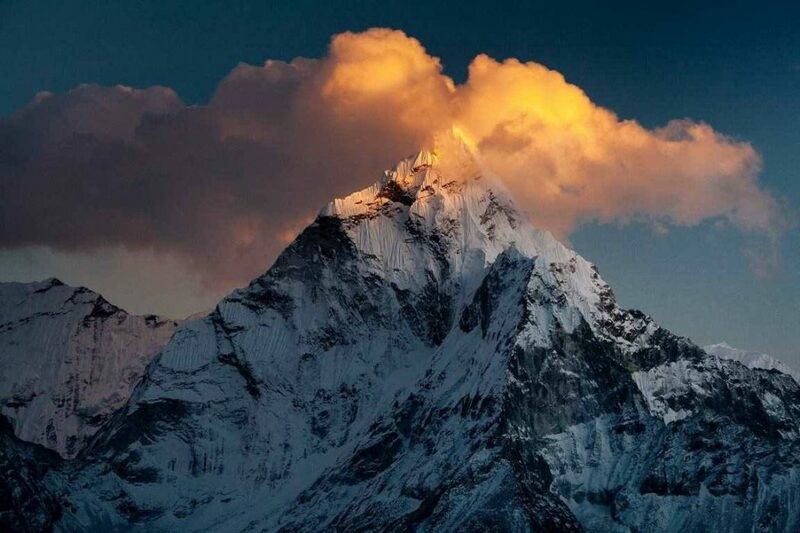 Himalaya, ‘the home of snow’… and maybe, the home of the soul of Mother Earth.